Hi guys, have you been following along with the STAMPlorations Spring Fling event? 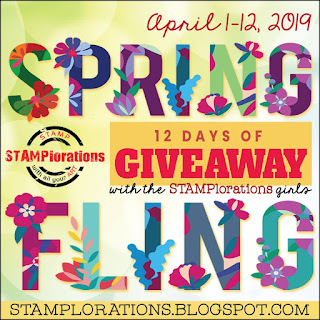 There are loads of prizes to be won, all you have to do is comment on the STAMPlorations girls' posts and the main blog posts. I've used A Cup of Roses, watercoloured with Distress Inks, fussy cut it and adhered it onto some patterned paper, added some ink splatters, a bit of washi tape and a sentiment from Brewtiful Day. 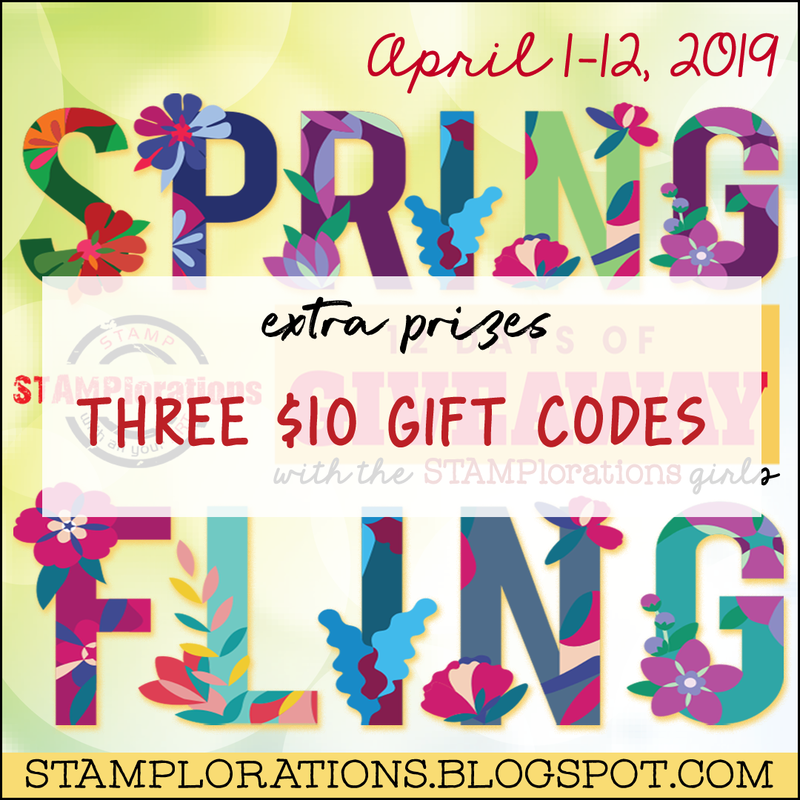 There are different prizes each day, and today three lucky winners will get a $10 gift code to the store. Commenting is open until 19 April, so get hopping! Fabulous card, Shirley. Your colouring matches the patterned paper so beautifully (or the other way around LOL). Oh how pretty --- I love those soft pastel colors! Absolutely gorgeous! I love this image. 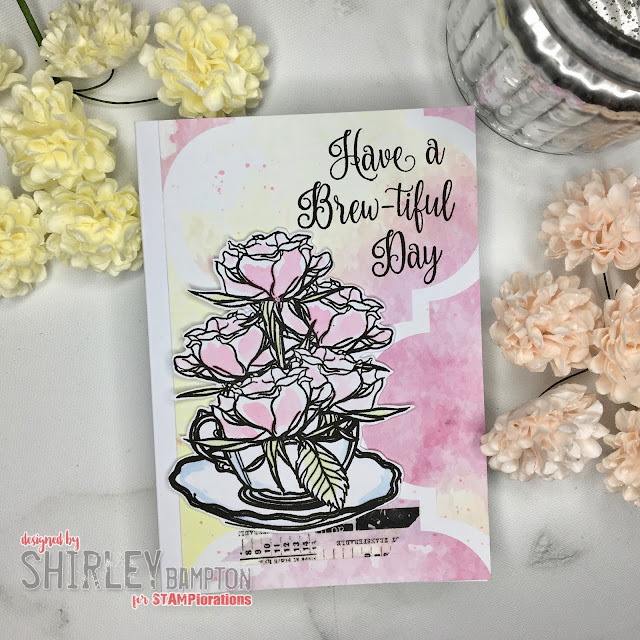 There was a lot of gorgeous inspiration on this hop today, but yours is my favourite card! Love how you coloured this image! Beautiful work here! 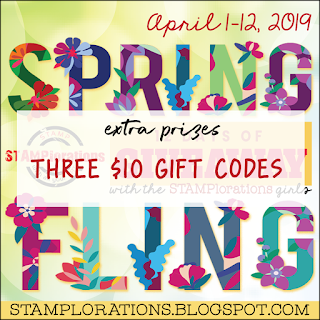 Awesome card – love the products you used! Beautiful! Fabulous card design and I love the large stencil in the background.